Rock Around the Block is Coming April 6! 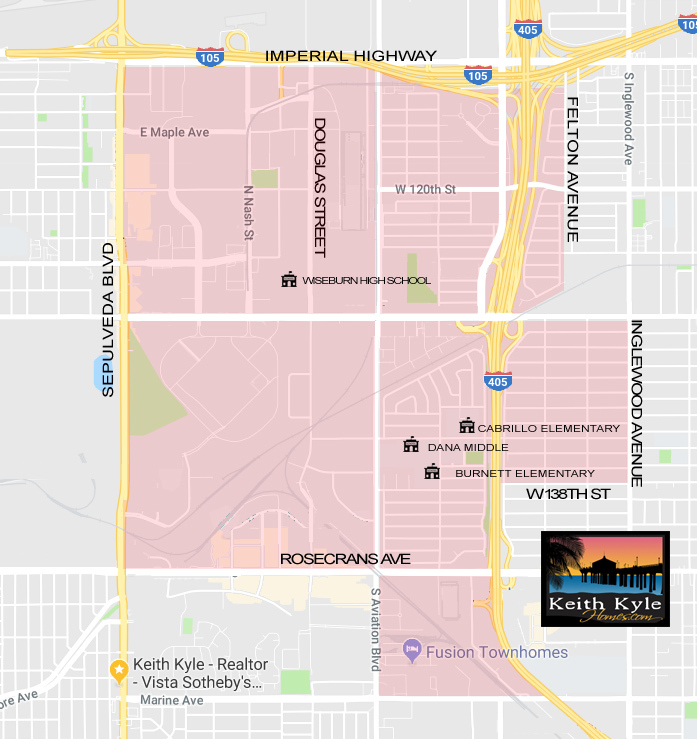 Rock Around The Block (RAB) is a fantastic festival for students, parents and community members to support quality education programs in the Wiseburn Unified School District. With support from WEF, students are able to receive music and art instruction, STEAM education and healthy lifestyles programs. This carnival style event is a major fundraiser with food, games, community booths, and a silent auction. The children “walk around the block” to kick off the event at 9:30 am. 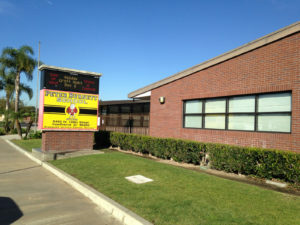 Students from Dana Middle School’s Symphony and Jazz Band, as well as Anza and Burnett’s Elementary School Bands, will be performing. We encourage your participation for this awesome community event. There is plenty of fun for everyone! Tickets go on sale March 7! This year, discounts will only be offered on pre-sale orders. You can purchase them online at http://bit.ly/RABtickets. Interested in volunteering at RAB or serving on the RAB committee? We need volunteers to help with food service, assist with overseeing games and rides, and to staff the silent auction. Visit http://signup.com/go/KMWDVHE​ to sign up for a volunteer shift at RAB. Please pass this link along to family, friends, and community members who might be interested in helping out the day of the event. 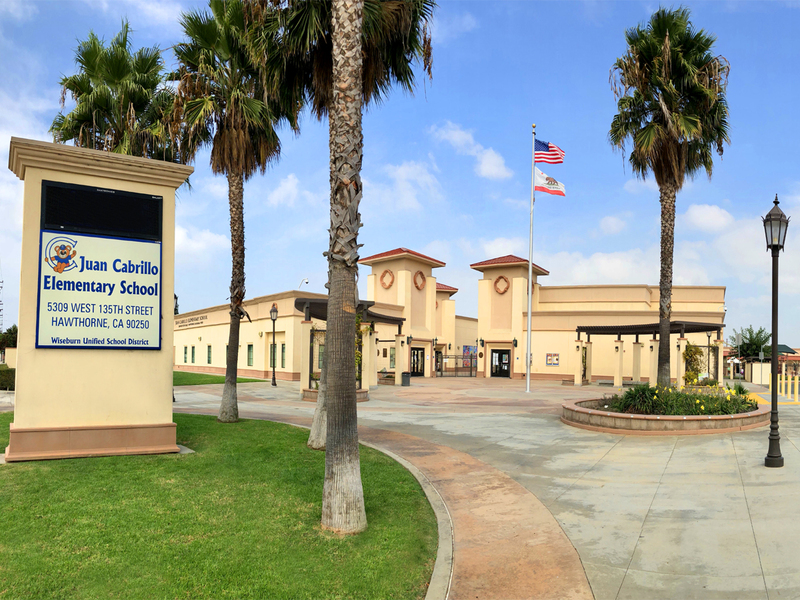 Our next planning meeting is March 5 at Cabrillo Elementary at 6:30 p.m. All are welcome to attend! 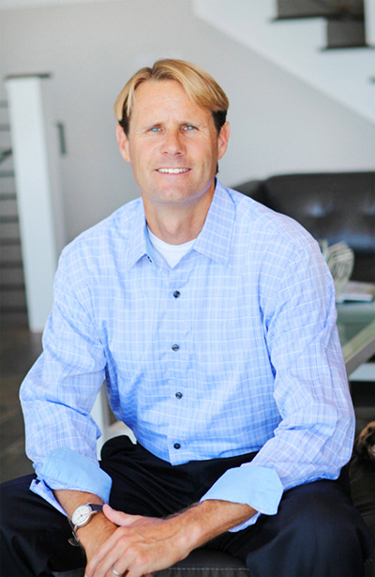 Interested in finding out more about our Business Partners Program? Click here. 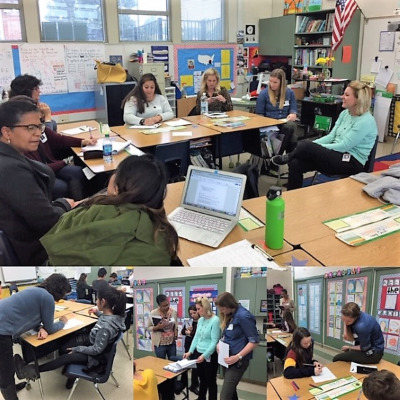 Through an innovation grant from the Wiseburn Education Foundation, Burnett Elementary School was able to provide teachers with release time to collaborate with teachers in neighboring districts to strengthen their math instruction and grow their learning community. On January 31, 2019, the 5th grade team visited Center Street Elementary in El Segundo and spent the morning in Valerie Sandowicz’s 5th grade class. Burnett Principal Kim Jones thanked WEF “for supporting our teachers in their professional growth” through this grant, which enabled these teachers “to learn and plan together.” The 3rd and 4th grade teams will also get to take part in these collaborations in the coming weeks. These “Snowy Night Scenes”, painted on black velvet, were funded by an innovation grant from the Wiseburn Education Foundation awarded to Ms. Graham and Ms. Polizzi to create this wonderful multi-disciplinary project at Juan de Anza Elementary. 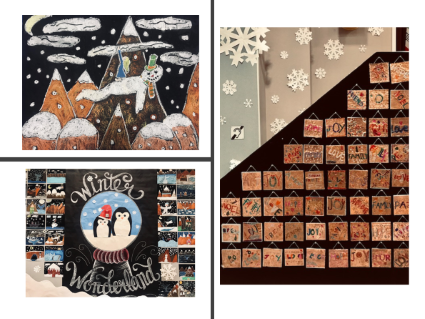 The Winter Wonderland exhibit was created by Ms. Graham’s 3rd-5th grade student artists in collaboration with the music program. Students also created their own artwork on tin and embossed it with a scene inspired by the story and film exhibited as part of the Winter Wonderland performance. The exhibit will remain on display through the end of March. 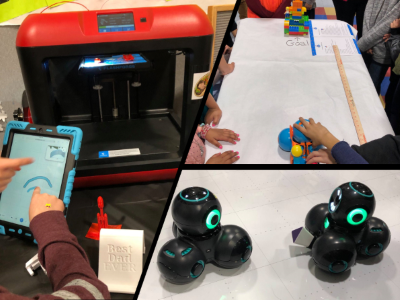 Anza Elementary also hosted a fabulous, interactive evening on Thursday, January 31st showcasing a variety of new technologies. WEF proudly provided funding for innovation grants to several educators at Anza to support the purchase of 3D printers as well as Cue Robots. The evening was fun for parents and students alike, allowing participants to experience first-hand the design thinking process and celebrate the successes of students. Keep an eye out for Eagle Expo coming this Spring! ​Apply Now for the Johnstone Scholarship! The Wiseburn Education Foundation is thrilled to announce our very first scholarship, the Johnstone Scholarship, will be given out this year! The Johnstone Scholarship was created in 2018 in honor of Dr. Tom Johnstone, now-retired Superintendent of Wiseburn Unified School District. Tom and his wife, Terry, also newly retired WUSD teacher from Anza Elementary, dedicated their careers to delivery quality public eduction. Three $500.00 scholarships will be awarded to graduating Seniors from Da Vinci Schools. All applicants must be currently enrolled at Da Vinci Communications, Da Vinci Design, Da Vinci RISE, or Da Vinci Science.